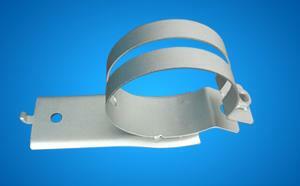 Dacromet's new anti-corrosion technology_Industry knowledge_Xinxiang Cuiyuan Auto Parts Co., Ltd. The Dacromet coating was first produced in the United States in the late 1960s. It was originally a protective technology that was invented to solve the problem that the car chassis parts were modified with salt and rain and threatened the safety of the vehicle. Compared with galvanizing technology, Dacromet coating technology is a green public good with good corrosion resistance, no hydrogen embrittlement and no pollution. However, the corrosion of the product has long been a problem for many domestic enterprises. The product has not been shipped out of the factory. After the rain test, the screw will be rusted and must be replaced before it can be shipped. Even later changed to stainless steel screws did not fundamentally solve the problem. Prior to the introduction of Dacromet technology, the composite structural parts were welded and galvanized. The surface quality and product protection were poor. After spot welding, galvanizing was performed. The acid solution was not cleaned between the sandwiches of the assembly, resulting in the factory. Product rust. If the spot welding is performed after galvanizing, the zinc layer at the solder joint is destroyed, and the appearance quality is not guaranteed. The process department is in a dilemma. After the Dacromet process technology, the Dacromet coating technology is kept away from acid and alkali (plating solution), avoiding corrosion problems. Even more gratifying is that the solder joints of the Tudakro parts after spot welding are intact and have no burnt color. At this point, everything is solved. The process of smelting the environment is the guiding principle of our technological transformation. Only in this way can we cure pollution. In addition to the above-mentioned quality problems, the traditional galvanizing process can be used for plant driving and power supply equipment. The instrumentation, components and workshop parts of the surrounding departments have varying degrees of rust. Dacromet technology is an acid-free, alkali-free coating technology. In the past year, it has been verified by the production test that the introduction of this technology has not only greatly improved the quality of products, but also played a major role in controlling environmental pollution. Dacromet manufacturers with you over the Dragon Boat Festival to eat Zongzi!